In 1977 the Italian Air Force (AMI) issued a requirement for a multi-role strike/recce aircraft to replace its Fiat G-91R/Ys and F-104G/Ss. 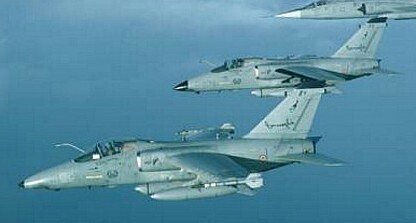 Alenia and Aermacchi started development of the AMX and in 1980 Embraer joined the project, the Brazilian Air Force (FAB) also having issued a requirement for a similar aircraft to replace its AT-26 Xavantes. The consortium was based in Rome, Alenia 46.5%, Aermacchi 23.8%, and Embraer 29.7%. The basic single-seat aircraft is designed for daytime low-level attack and tactical reconnaissance. Work was split 70:30 between Italy and Brazil, and 70:30 between Aeritalia and Aermacchi in Italy. Embraer was responsible for the wings, flaps, intakes, and tailplane, Aermacchi for the forward and rear fuselage sections, and Aeri-talia for the centre fuselage and fin. Italy built four prototypes and Brazil two. Final-assembly lines were located in both countries. 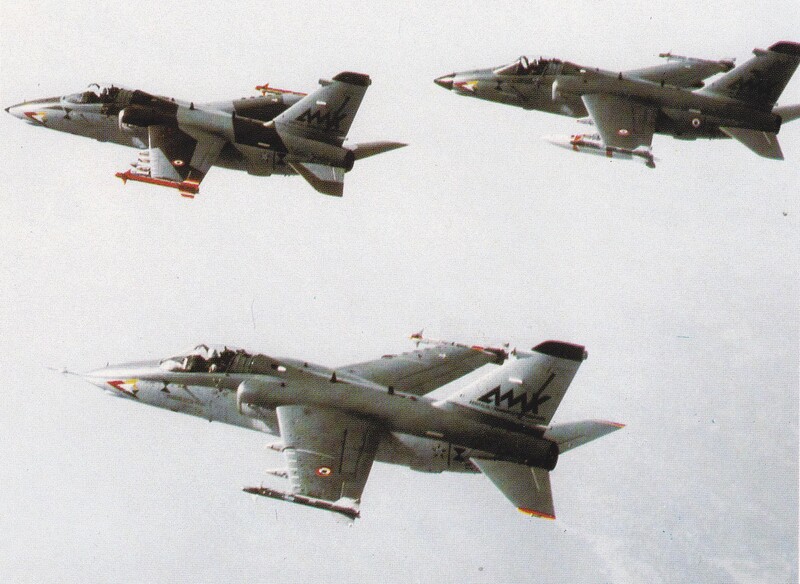 In May 1984 the AMX made its first flight, and in February 1987 Embraer’s first prototype flew with the purpose-designed reconnaissance pallet, and by May the aircraft was undertaking static test firing of the Brazilian versions twin 30mm DEFA cannon. A second Brazilian prototype joined the test programme in Decem-ber 1986. The AMX International AMX has high-mounted monoplane wings, twin intakes and a single engine exhaust under the single tail rudder. Crew accommodations vary with model and can either be a single pilot or pilot and rear-cockpit operator in tandem. Standard armament varies between the Italian and the Brazilian models, with the Italian version receiving a single 20mm General Electric cannon and the Brazilian version being fielded with twin 30mm DEFA cannons. Four underwing hardpoints, a centerline hardpoint and wingtip hardpoints are fitted. Wingtip mounts are reserved for short-range air-to-air missiles. Final assembly of the first Italian pro-duction AMX began on schedule in January 1987 and was delivered to the Italian Air Force in January 1989 and to the Brazilian Air Force in 1990. The AMX were assembled in both Italy as Brazil. Planed build was for 317 aircraft of both types (238 for Italy and 65 for Brazil). The initial order was later cut to 136 due to budgetary constraints to defences in both countries. Production continued with little in the way of developmental setbacks. Production of the AMX series broke down with Alenia (Aeritalia) handling up to 46.7% whilst Embraer took 29.7% and Aermacchi 23.6%. Final production would be handled in their respective countries. A single-seat multi-role strike fighter aircraft, designed to fly low-altitude missions at high-subsonic speeds in day or night and in poor visibility, it is capable of operating from damaged or unprepared runways. It has a limited air-to-air capability and integrated ECM for self defense. AMX-T is the twin-seat variant of the AMX and is used as advanced trainer. The AMX-T retains the operational capabilities of the single-seat version. The aircraft for the Brazilian Air Force (FAB) are designated A-1 (single-seat) and TA-1 (two-seat), and are equipped with two DEFA 544 30mm cannons, while the Italian variant is fitted with one M61A1 multi-barrel 20 mm canon. The Brazilian A-1/TA-1 fleet underwent an upgrade, the aircraft designated A-1M in FAB service, The A-1M upgrade is based on the Brazilian AT-29 and the F-5M upgrade program, giving the aircraft many simularities in avionics and capabilities. The new cockpit includes three colored MFDs, HOTAS, new multimode radar (the Italian Grifo F) and the capability to use smart weapons. The Italian AMX and AMX-Ts went through the ACOL upgrade program. Alenia Aerospace upgraded 43 single-seat and 12 two-seat AMX aircraft as the AMX-ATA extending the operational life to 2015 and giving the AMX improved combat capabilities. It includes a new inertial navigation system/GPS, GPS-guided weapons integration, new colour MFDs, updated communications and IFF, and a new computer symbol generator with digital map functions. The AMX aircraft under the Italian banner saw extensive service in the war against Serbia in Operation Allied Force, accounting for over 250 sorties all its own. The system was fielded with advanced Israeli Elbit Opher imaging infra-red guided bombs, Mk 82, Mk 83 and Mk 84 conventional bombs and Paveway II laser-guided bombs. Hard points: 5 + 2 wing tips.